William Blake (1757-1827), English. The Wood of the Self-Murderers: The Harpies and the Suicides, 1824-1827. Illustration to Hell, Canto 13 of Dante's Divine Comedy. Watercolor. Copyright Tate Gallery, London/Art Resource, NY. 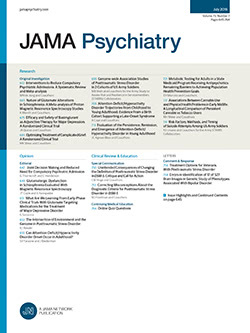 See ArticleArt and Images in Psychiatry.